Today, I have made my mark. Today is about me saying thank you. It is my love letter to you all. I want to leave my prints of emotions with you all,and with the lessons that have been the anchor for my life and the ones that I hold most precious. We all have a calling in life, and our real job is to figure out what that is, and how to follow through with it. For me, it is using my eyes as a gift, and helping others to see clearly. I started to embrace the life that has always called me, and also started to use my life to serve the world. With out some of the most amazing people that I have in my life, my career path opening up would have not been possible. Thank you to Veronica’s Dollhouse, for opening the doors for me and helping me realize that I can do this. A huge inspiration for me was seeing two sisters who own a business being so successful. Another tremendous thank you to Five Sisters and their staff, for giving me the opportunity to live my dream. Also, thank you for allowing me to do the most amazing readings at your little shop called Five Sisters; the most amazing place where everyone leaves feeling magical. To my family and friends, you know who you are. Thank you for your constant support, and for always believing in me. A very special thanks (thank you) to my godparents Mike and Terry, and Mercy for all of their unconditional love and to my Mom and Sister Ady for making me the woman I am today. I love you guys! And to the one person who made this all possible. The person who was there from the beginning, my biggest fan, my best friend, and my husband. Without him there could not be an Alexis Reyes, he is my rock. My husband, the man that hides his wings, showed me how to fly with my dreams and believe in myself. With all his help, WE together have accomplished, something so magical. We have made my dreams possible and have turned them into reality. Thank you my love! 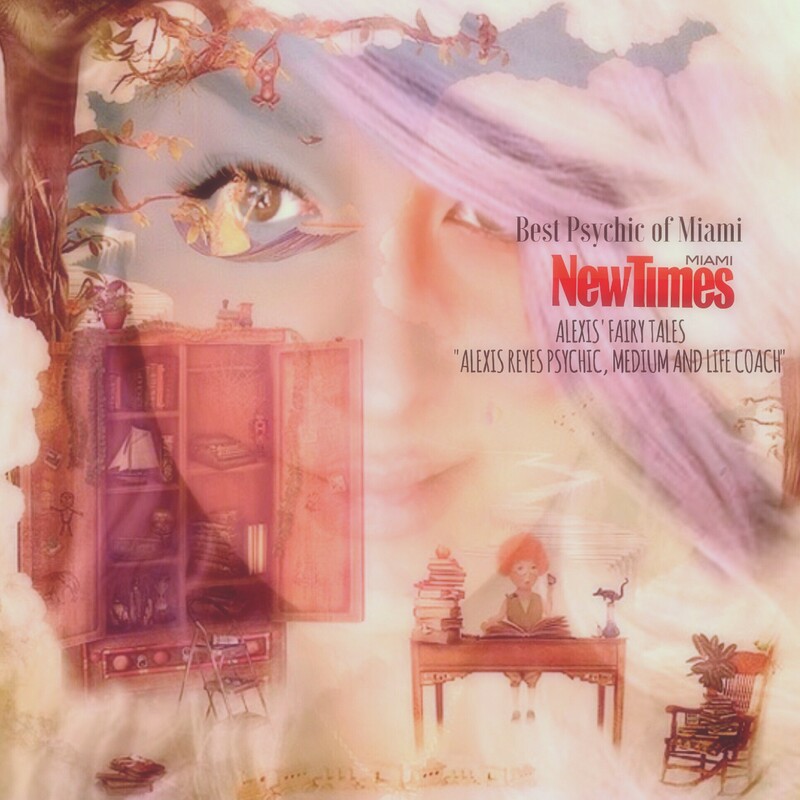 And finally a very very very very special thanks to The Miami New Times, for nominating me as Miami’s best psychic, and my fans for choosing me! From the bottom of my heart, I thank you all so much. Love you guys. This is only the beginning. I am so ready and blessed to live this new chapter of my life and to see what it has waiting for me. I can’t wait! This is Dedicated to my Hero, this one for you Daddy !! I made my mark just as you ask me to. I love you , and miss you. Prev Post: It is not always for us to know the deeper meaning of everything that occurs in our life.